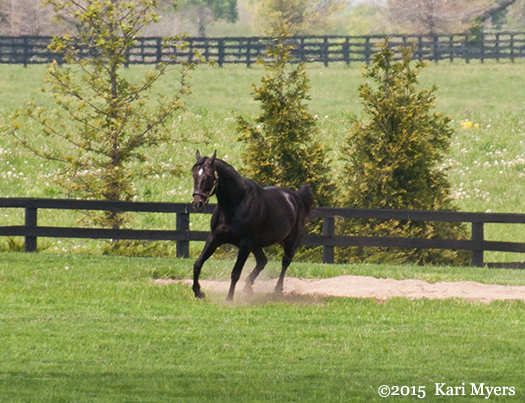 Apr 29, 2015: Pioneerof the Nile tears around his paddock at WinStar Farm in Versailles, KY.
Pioneerof the Nile–2nd in the 2009 Kentucky Derby to Mine That Bird–would be proud to know that his son, American Pharoah, got the win two weeks ago in the 2015 Kentucky Derby. Hopefully Pharoah will also have better luck in the Preakness than his papa, who finished 11th behind Rachel Alexandra in the ’09 edition. 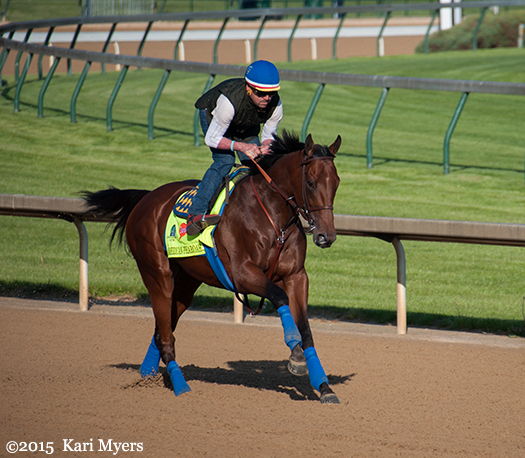 Apr 29, 2015: American Pharoah prepping for the Derby. 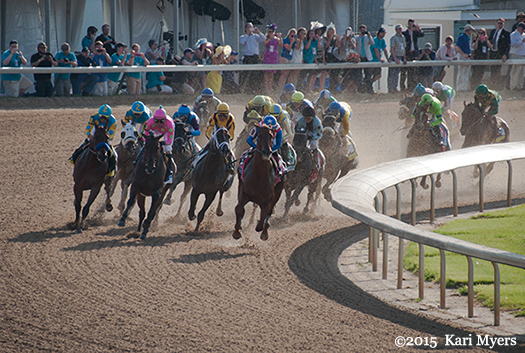 May 2, 2015: The Kentucky Derby field coming off the Clubhouse turn onto the backstretch, with American Pharoah widest of all. 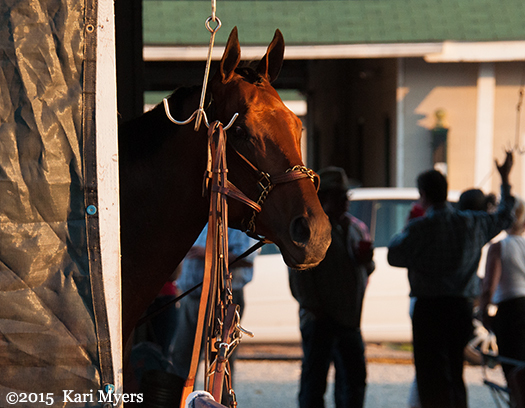 May 2, 2015: American Pharoah peeks out of Baffert’s barn while walking the shed row after his win in the Kentucky Derby. 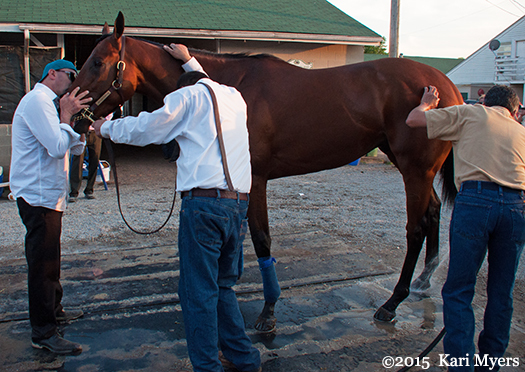 May 2, 2015: American Pharoah gets some love after the Derby.